If you enjoyed Sally Shapiro's cosmically animated video for "What Can I Do," then you'll be pleased to learned that the Swedish disco pop duo have unveiled a similar one for another track from Somewhere Else with "If It Doesn't Rain." 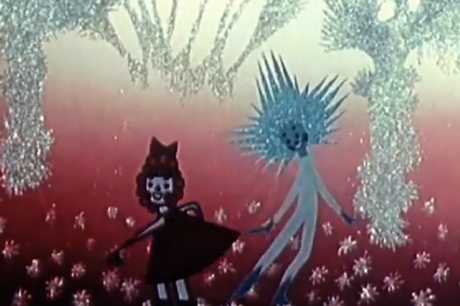 The clip accompanying this dreamy dance tune is a romp involving two cute animated characters, one of whom lives in a house on a piece of paper while the other is some sort of a magical, glittering fairy. They eventually meet up and the story comes to a whimsical end. Somewhere Else is available through Paper Bag Records.